It’s Official: Greater Wenatchee Is Bicycle Friendly! I LOVE THE GREATER WENATCHEE METROPOLITAN AREA! In August I wrote a blog post sharing my love for the city where I live. 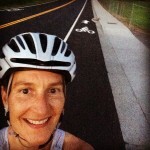 I was so excited to come home and find a bike lane and sharrows painted on the street next to my driveway! Having served on the Regional Bicycle Advisory Board (RBAB) for the Greater Wenatchee Metropolitan Area for a number of years, the lane and sharrows represented another step in progress for the bicycling community in the Wenatchee Valley. Today I’m expanding the love for my city to love for the Greater Wenatchee Metropolitan Area. Earlier this summer, after another gentle nudge from Wenatchee Valley Velo board member Ace Bollinger, Wenatchee Valley Transportation Council (WVTC) and the RBAB began working on an application for Bicycle Friendly Community status from the League of American Bicyclists. The energy and enthusiasm around gathering the information necessary for the application was high! Several folks helped in the effort, which resulted in an application being submitted to the league on August 13. Thx @WenatcheeVelo & others who got Wenatchee @bikeleague Bronze! As an RBAB board member, I was thrilled to share my thoughts in the press release along with the mayors of the two larger cities in our metropolitan service area. “The award solidifies the work and efforts of the Regional Bicycle Advisory Board over the past few years. This national recognition provides another step toward reaching the vision set forth in the Greater Wenatchee Bicycle Master Plan. I am excited to have the award report card to share with the WVTC Board members and community partners for additional planning efforts,” said Deb Miller, a member of the Regional Bicycle Advisory Board. 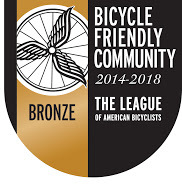 “I am thrilled the League of American Bicyclists has recognized the hard work of the transportation community in our region,” said Wenatchee Mayor Frank Kuntz. 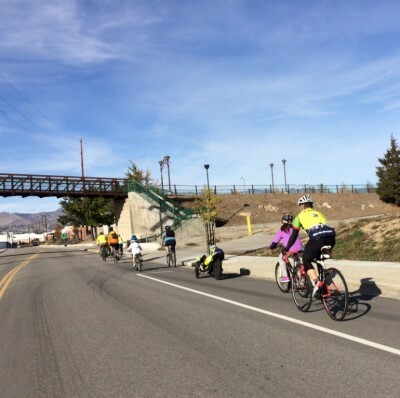 “The bicycle plan is a great new tool for cities and counties that we can use every time we look at our priorities for funding,” said East Wenatchee Mayor Steve Lacy following adoption by WVTC of the Greater Wenatchee Bicycle Master Plan. Mayors of Wenatchee/East Wenatchee praise regional bike plan. This award has instilled newfound enthusiasm for continuing the work that started with the efforts to draft a new Greater Wenatchee Bicycle Master Plan (GWBMP) when I first joined RBAB. We now have an additional action plan in the form of a report that will supplement the work lined out in the GWBMP. 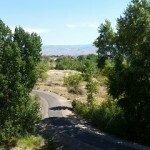 It seems that bicycle enthusiasts are popping up around the valley showing interest in bicycling in the valley. I’ve been participating in meetings with folks interested in increasing bike tourism in the valley; the Complete the Loop Coalition and their efforts to sign the Fruit Loop route from Wenatchee to Leavenworth; agencies wanting to bring more bike education into the schools; and Wenatchee Valley College looking at steps to become a bicycle friendly college, to name just a few!! Greater Wenatchee Metropolitan Area becomes the 14th community in Washington state to earn a Bicycle Friendly Community status. Washington state has been named the #1 Bicycle Friendly State in the nation for seven years straight by the League of American Bicyclists. 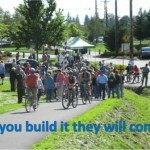 Visit our Bicycle Friendly Washington page to learn more. This article was posted in Advocacy, Chelan County, Douglas County, Wenatchee and tagged bicycle-friendly, Wenatchee. Bookmark the permalink. Follow comments with the RSS feed for this post. Both comments and trackbacks are closed.